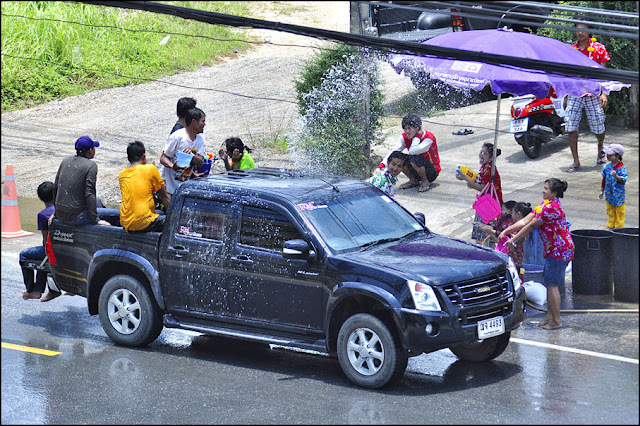 Songcran Festival - Thai New Year. Ok, today we had the first and the most intense day of a "Songcran festival" - Thai New Year. 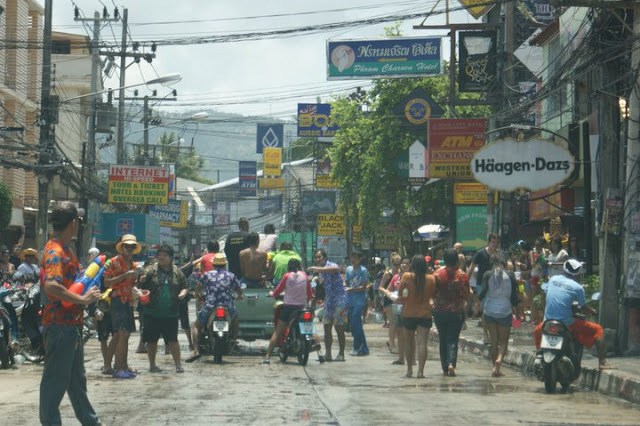 There were buckets and buckets of water on the streets, ( God, we've just kind of dried off after the flood :-))) , water guns and pistols, white powder on bodies and faces, soaking wet people with happy smiles, lots of water and fun everywhere on the island! The word "Songcran" originally comes from the Sanskrit language and means “move into”, referring to the orbit of the sun moving into Aries. 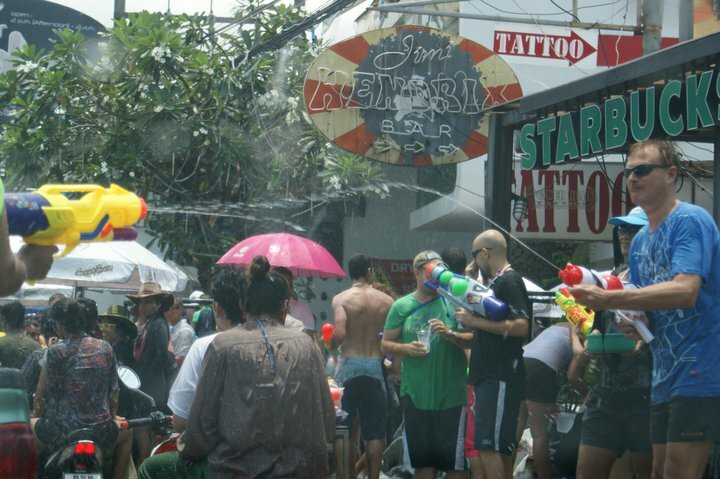 It marks the end of a year long cycle and is the beginning of the new solar year. 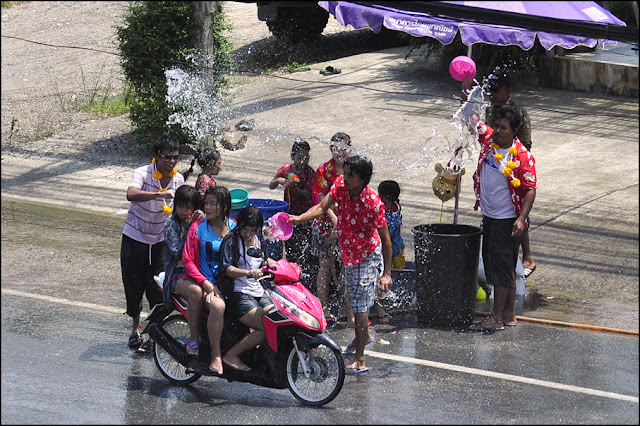 The Songkran is the Thai New Year celebration. Obviously as a New Year celebration Songkran is a time for new beginnings, and it is also considered to be a time for thanksgiving. It is a time for people to reflect on acts of thoughtfulness and kindness that they have experienced and to consider how these acts bring peace, happiness and well-being. 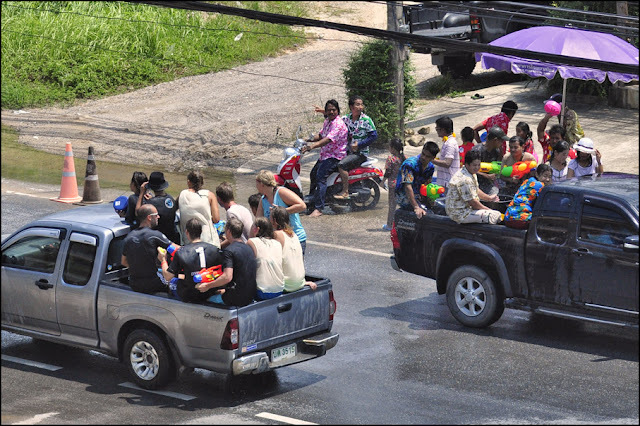 It is also a time for reunions and most Thai’s return to their family homes to renew family ties. 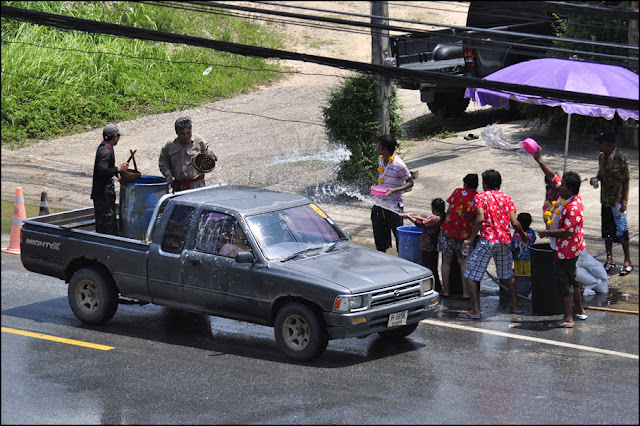 The fact that April is the hottest month of the year in Thailand partly influence the huge amount of water being thrown on Songkran. 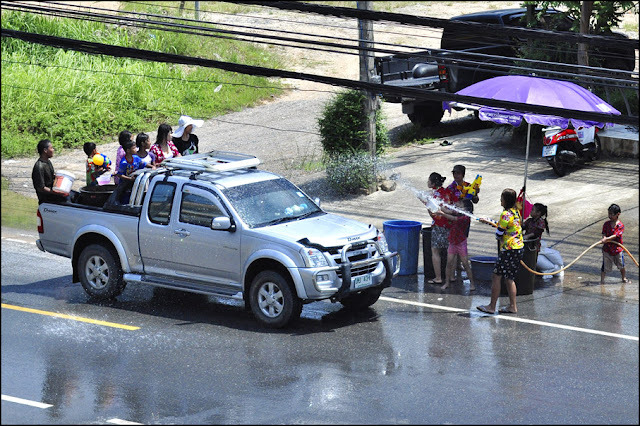 When it comes summertime, Thailand can get very hot. The ancestors were clever to come up with a festival that is not only fun but also helps cool you down as you play. 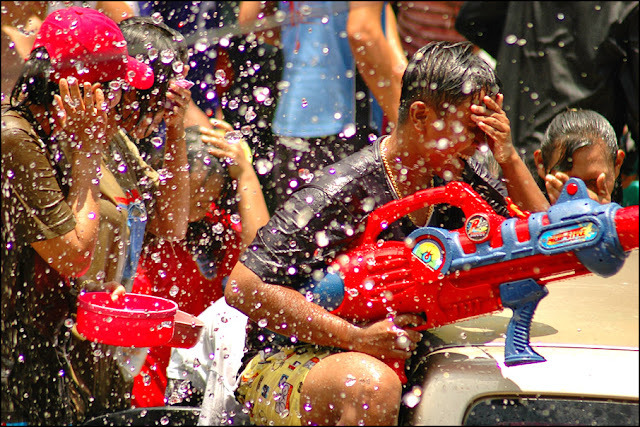 This tradition used to be a gentle pouring of scented water into your loved ones hands to bless them with good luck but nowadays it has turned into full-blown water fights. 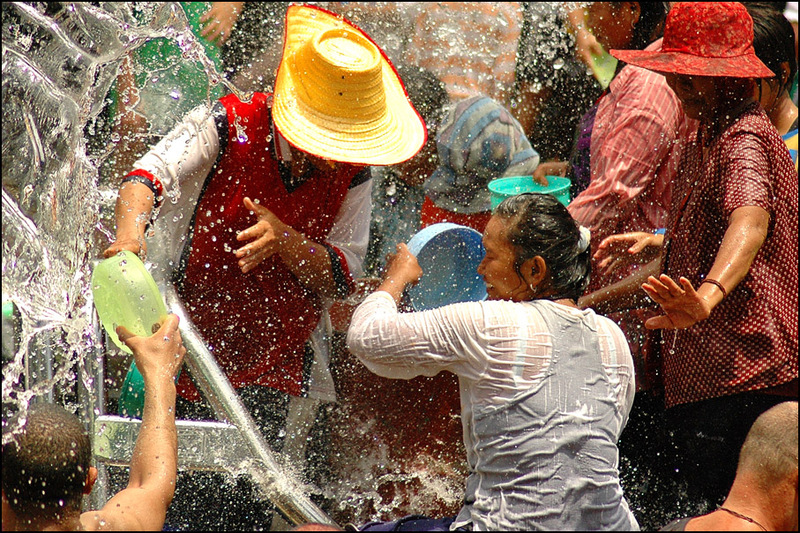 Under normal circumstances, if you dumped a bucket of water on someone’s head, they’d get really pissed off. 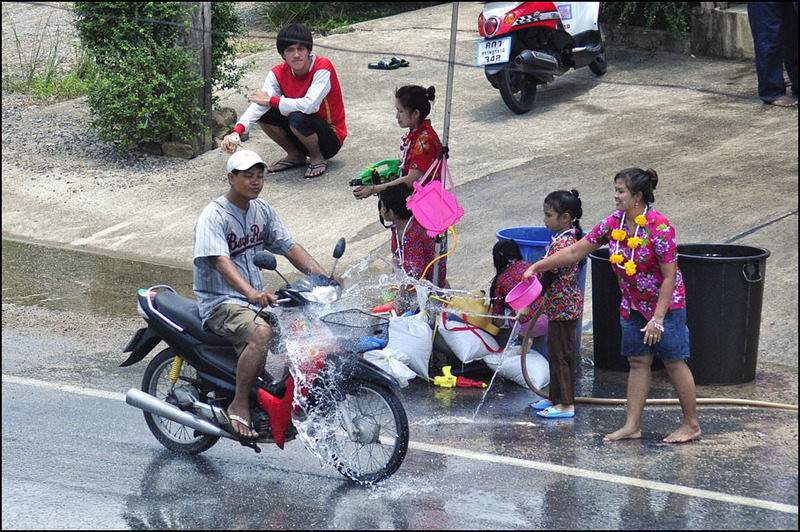 During Songkran those social norms just don’t apply. 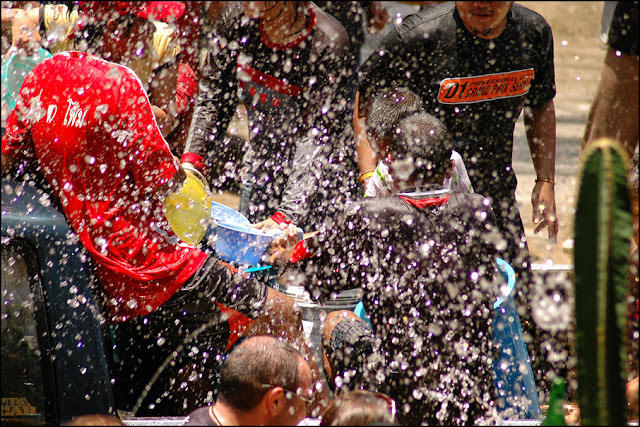 You don’t just sprinkle people with water. Buckets, hoses and squirt guns come into the game. 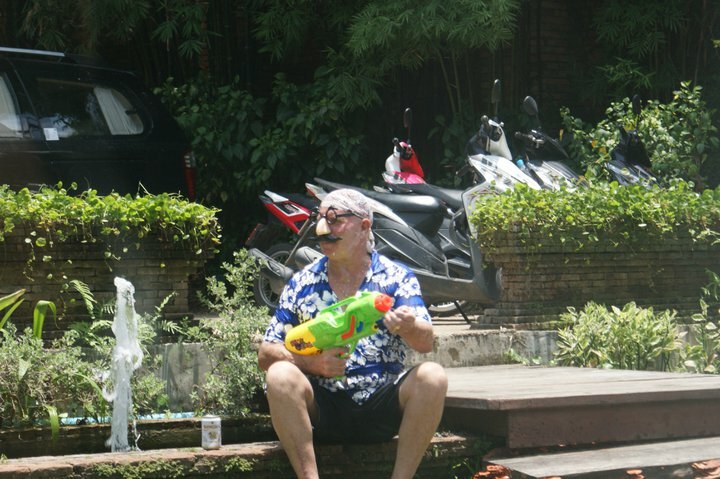 Songkran is a great time to visit Thailand, join in the fun and see the locals at their craziest and best!